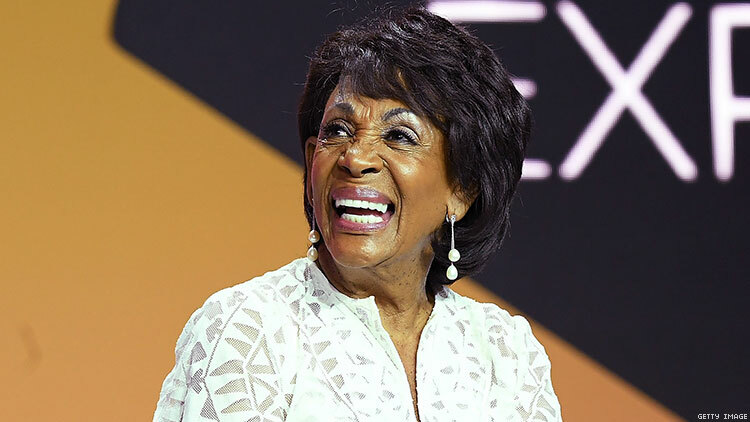 Tuesday night, the people’s auntie, Congresswoman Maxine Waters, hosted her second annual State of the Union Millennial Media Row and invited some of her favorite outlets including yours truly! The outspoken political figure has made a point to not back down at any moment from the rhetoric of the President. Last year’s event coincided with her own speech that rebuffed President Trump’s annual address. This year, after House Speaker Nancy Pelosi postponed the speech to next week, Waters decided to stage her event regardless. Check out the video from our IG Live and a transcript of her words below. We are here with the woman of the night, the woman of every night, Congresswoman Maxine Waters. It’s so amazing to be talking with the Gentlelady from California. So I actually just moved from Oakland not too long ago, so this is kismet. Well, you know Kamala Harris had a great event in Oakland yesterday or was it Sunday? [It had] over 200,000 people in attendance. Which is phenomenal. And what has it been like for you to be such a fierce voice for so many underserved and marginalized folks in our country? I feel that it is my responsibility to use the opportunity that has been given to me by people who voted for me and sent me here to speak truth to power. It’s absolutely a responsibility to see to it that issues that don’t get talked about get elevated here in the Congress of the United States. And, of course, it has been my responsibility and my deep passion to talk about what is wrong with the White House and why this President should not be there. Absolutely. What’s been on a lot of people’s hearts in the LGBTQ+ community recently has been obviously the trans military ban. What are some ways we can resist that and some ways that we can stay empowered in this moment? Well, look. One of the things we have to do is we have to confront these issues head-on. Whether we’re talking about the ban that’s been put on in the military or whether we’re talking about full equality for those people who have chosen to have different lifestyles, who are gay, who are transgender, whatever. They have a right to live a decent quality of life not interfered with by others who think they know better than them about who they are or what they stand for and what they feel and who they love. And so, we’ve got to confront it. We have legislation circulated on equality and so we’ve got to legislate, we’ve got to fight for it, we’ve got to stand up for it. And just like Jussie Smollett, who was attacked in Chicago, we have speak up about that and we’ve got to find the people who did that. We can not let that go without making sure we bring those people to justice. And it’s all connected. Talking about what happened to our brother Jussie and really the white supremacy that was behind that attack has been bolstered by this President, right? And so, with this ‘Wall’ and this shutdown, what have been your thoughts on how this presidency has rolled out? Well, first of all, I think that the President does not deserve to be the President of the United States. I think that it has been documented that he has lied over 6,000 times. I think he has a history of having cheated folks in the Trump University, where he was forced to have to pay back $25 million. We know, in addition to that, he and his father denied African Americans access to rental property. And he’s defined himself quite well since he’s been in this office. He’s talked about countries of color as “shithole countries.” He has talked about the NFL and called them “SOBs.” So we know who he is. He certainly, in my estimation, qualifies for impeachment. There are those who think, “Oh, you have to wait for [Robert] Mueller, the special counsel, until he comes with the information.” Well, we don’t know how that report is going to be given to us — whether it’s redacted so much that you can’t really understand it or whether it’s going to get to the public at all or just be confined to members of Congress and it’s classified. So we’ve got to work for what we believe in. If we want to support what we think is a democracy, we’ve got to make sure it works for everybody. This President is divisive, intimidating, threatening, and we can not allow the leader of the free world to lead in that fashion. So we can try and end on a higher note. What is the advice that you have for folks who are trying to find their political voice? You’ve had a career where you’ve spoken out about these things long before this moment, right? You were speaking out about everything back in the ‘90s and even before that. So what advice do you have for young people, people of all ages who are trying to find their political voice? Let me just say this. I commend young people and the Millennials who have raised the level of discussion about what’s wrong with this country that young people can’t rent property, can’t buy a home, can’t have the quality of life that they thought they were going to have when they went to college. We’re here today where we recognize that Millennials have power, they have influence. They are podcasting and broadcasting in ways that we never really realized before. And for all of those people who are sitting there waiting on real discussion from CNN, CBS, and ABC, there’s an alternative to that now. And I’m so glad that Millennials do have a growing voice in the political arena and have influence and people are paying attention. And because of that we are going to have some changes.